The welfare rights movement was an interracial protest movement of poor women on AFDC who demanded reform of welfare policy, greater respect and dignity, and financial support to properly raise and care for their children. In short, they pushed for a right to welfare. Lasting from the early 1960s to the mid 1970s, the welfare rights movement crossed political boundaries, fighting simultaneously for women's rights, economic justice, and black women's empowerment through welfare assistance. Its members challenged stereotypes, engaged in Congressional debates, and developed a sophisticated political analysis that combined race, class, gender, and culture, and crafted a distinctive, feminist, anti-racist politics rooted in their experiences as poor women of color. 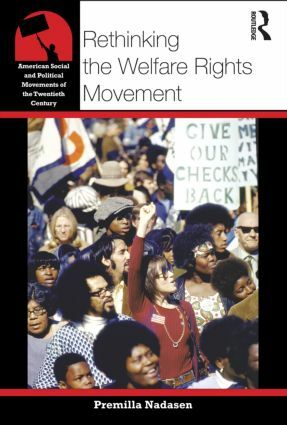 The Welfare Rights Movement provides a short, accessible overview of this important social and political movement, highlighting key events and key figures, the movement's strengths and weaknesses, and how it intersected with other social and political movements of the itme, as well as its lasting effect on the country. It is perfect for anyone wanting to obtain an introduction to the welfare rights movement of the twentieth century. Premilla Nadasen is Associate Professor of African American History at Queens College, City University of New York.